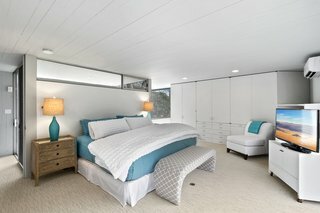 Designed by the visionary modernist architect Charles Gwathmey as a private residence, this bright retreat provides ocean views. Architect Charles Gwathmey was named one of The New York Five, an elite group dedicated to a pure form of modernism that also included Peter Eisenman, Michael Graves, John Hejduk, and Richard Meier. When he was still in his 20s, Gwathmey made a splash in the architectural scene when he designed a geometric, cedar-clad residence for his parents in 1966. 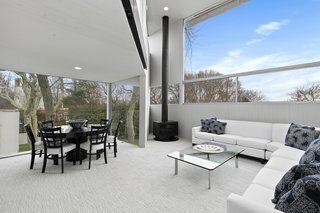 Now architecture buffs have a chance to live in another piece of history—Gwathmey's self-designed residence has hit the market at $4,850,000. Gwathmey had designed many private homes for a long list of exclusive clientele who appreciated his boldly geometric, modernist style. The 1,934-square-foot, two-story home features original built-ins, five bedrooms, and three baths. A soaring, double-height ceiling in the living area features large expanses of glazing on all sides, allowing for bright and airy interiors. Conveniently located only a quarter mile from the ocean, the residence boasts stunning views from its rooftop deck, a pool, a tennis court, and a generous lawn with plenty of outdoor space for entertaining. 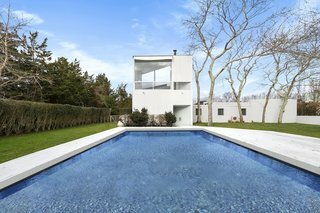 "Charles Gwathmey's architecturally significant home is a rare and striking work of art that would be a great addition to anyone who is an avid collector or appreciator of important modern design," says Justin Agnello of Douglas Elliman Real Estate. 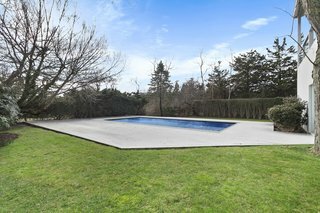 The pool and expansive lawn provide ample space for outdoor entertaining. 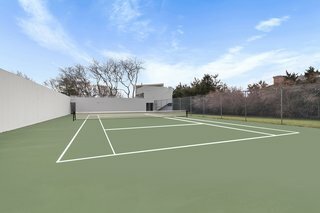 The home is one of only two properties on Bluff Road with a grandfathered-in tennis court on a one-acre lot. The expansive roof deck features amazing views. The open-plan living and dining space features large windows on all sides—the bright spacious interiors are a testament to Gwathmey's visionary talent. This room is presently being used as a den. 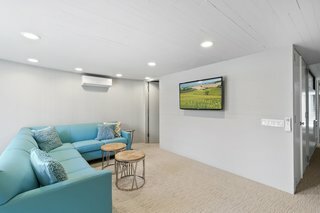 The first floor has four bedrooms plus a master suite and newly renovated bathrooms. 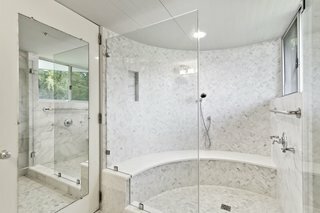 The master bath features a large, enclosed shower. 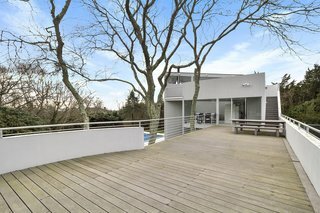 The home is located in the town of Amagansett, New York, only a quarter-mile from the ocean. 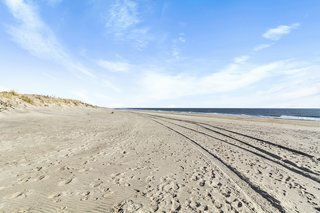 The Hamptons is known for its stunning coastline. 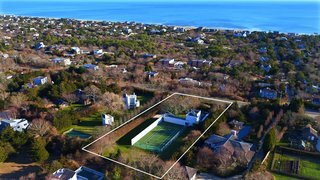 130 Bluff Road, Amagansett South is now being listed for $4,850,000 million by the Atlantic Team of Douglas Elliman. See the full listing here.